UNE is hosting an important convocation of Classicists. 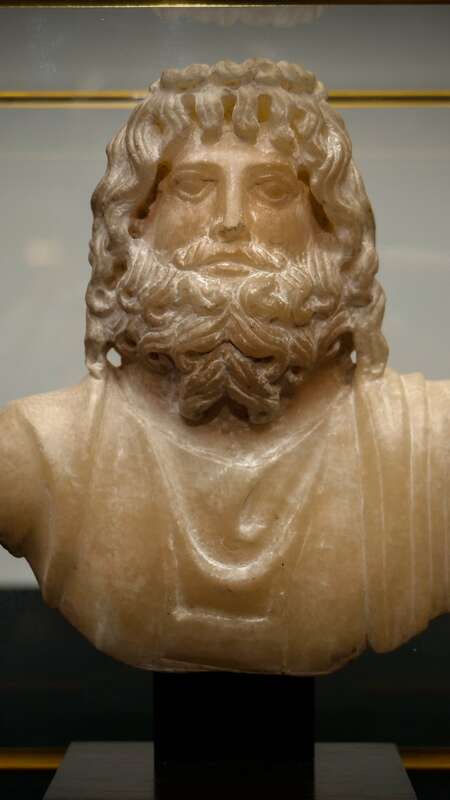 Image: Bust of Serapis from UNE's Museum of Antiquities. UNE will next week welcome almost 200 classical scholars and historians of the Ancient World for the 40th Annual Conference of the Australasian Society for Classical Studies (ASCS), to be held from February 4-7. It has been 23 years since the region has hosted the conference, and Dr Bronwyn Hopwood, senior lecturer in Roman history and curator of the UNE Museum of Antiquities, says she hopes the community will take the opportunity to get involved. “We are really fortunate to have such an auspicious event come to our region, and this year Armidale has scored a very special hat-trick, as the event also includes celebrations for the 50th anniversary of the Australian Academy of the Humanities and the 60th anniversary of the UNE Museum of Antiquities. “I encourage the community to come along to the free public events, hear from world experts, and find out why we get so excited about classics and ancient history,” Dr Hopwood said. The event will include a range of free public lectures, exhibitions, and the unveiling of a new Egyptian acquisition to celebrate the 60th anniversary of the Museum of Antiquities. “Antiquity offers everything you could hope for in a great story: war, politics, social drama, human interest, moral dilemmas, vendettas, heroes and villains. “I think we’ll see many fantastic ancient stories and personalities come alive at UNE next week,” Dr Hopwood said. Visiting speakers – delivering free public lectures at UNE Arts Building, via Booloominbah Drive. Will shine a spotlight onto the Roman Republic at the moment when it appeared to contemporaries that Rome had achieved an unprecedented prominence in Mediterranean geopolitics, but when it was about to face its own demons, highlighting the role of personality in the unfolding of history. Read their story. Will talk about the moment when the modern idea of religious buildings as powerful, numinous and spiritually transformative came into being. It’s a story of how ideas grow within religious traditions and in dialogue between them, how the way people interact with spaces and places can change radically over time, and why it matters. Read her story. Is currently uncovering the kind of treasures in central Sudan all archaeologists dream about: a previously unknown temple of the Egyptian and Kushite god Amun in exceptional condition, featuring fine decorated stone-wall panels, and a hoard of statues representing ancient rulers, including the celebrated Pharaoh Taharqo. She’ll share her work and discoveries at the conference. Read her story. We're celebrating the unveiling of an Egyptian acquisition to our collection.